As summer comes to an end, we say our bittersweet goodbyes to heirloom tomatoes, crisp cucumbers, and sweet peppers, but we welcome autumn with it’s grounding abundance of crucifers, dark greens, and the hearty members of the squash family. Since holidays like Halloween and Thanksgiving are approaching rather soon, we thought that this month we should highlight the one and only pumpkin. Pumpkin is not only for carving jack-o-lanterns or for decorative table centerpieces. This fruit (in fact, it’s actually considered a berry!) contains heaps of health benefits. Let’s start with the seeds. Hey, without these little babies, we would never harvest such a beautiful golden nugget. Pumpkin seeds are very high in magnesium, containing nearly half of the recommended daily value in only a quarter cup! Why is magnesium such an essential mineral in supporting human health? Well, it serves in vital functions all across the board including the creation of ATP (energy in the body), and synthesizing RNA and DNA. It helps maintain the integrity of your bones and nervous system, it regulates your heart, and improves bowel functions. Smooth move has a whole new meaning. Try roasting these delicious seeds with spices or shelling them for a little bit of a crunch. These seeds are also called “pepitas.” Simply toss a few on your salad and call it a win! We know that beta-carotene (vitamin A) is responsible for the orange color in fruits and vegetables, so it’s a given that this fruit is packed with this powerful antioxidant, which helps ward off harmful bacteria and keeps your immune system in tip-top shape. As the cold and flu season approaches, get ready to roast, puree or juice your pumpkins. There are a variety of ways to cook pumpkin, so get creative with it, while at the same time getting your dose of healthiness. Pump, pump, pumpkin up. Beta-carotene also benefits eye vision, as do the antioxidants lutein and zeaxanthin, which are all found in the wondrous pumpkin fruit. These nourishing compounds protect the surface of the eye and the mucous membranes, and helps to reduce eye infections. Studies have also shown that diets rich in lutein and zeaxanthin may help reduce macular degeneration (a major cause of blindness and impaired vision in older adults) and cataracts. Are you beginning to see the light of pumpkins? Pumpkin is your skin’s perfect companion. Whether you eat it or mash it and apply it to your skin for a DIY facial mask, this fruit deserves a big thank you for giving that complexion of yours a warm radiance. Pumpkin is generously rich in natural enzymes that, if applied topically, can help provide an active exfoliating treatment. Pumpkin is also very soothing and hydrating, leaving the skin looking youthful, healthy and plump. (We should alternatively call this fruit a plumpkin). Pumpkin seed oil is rich in essential fatty acids that provide your skin with the utmost nutrition, another reason we included this oil in our beloved Anti-Aging Oil formula. The internal benefits of eating pumpkin for your skin are also pretty notable, as we know that antioxidants in the forms of A, C, and E, along with zinc, are excellent beauty-enhancers. Try this DIY pumpkin “peel” mask here, or this refreshing pumpkin smoothie recipe for some ultimate skin lovin’. Orange is the new glow! Tryptophan is an essential amino acid that your body uses to make proteins, the B vitamin niacin, and neurotransmitters serotonin and melatonin. These chemicals induce relaxation and minimize stress. There you have it! With fall just around the corner, make sure to stock up on these plump and nutrient-rich squash members; clearly the health benefits of eating pumpkin are pretty fabulous! Another advantage is their considerably long shelf life if bought freshly harvested (1-2 months) and that they can be prepared or cooked in a variety of ways. Get pumped on pumpkins, we certainly are! How do you eat pumpkin? 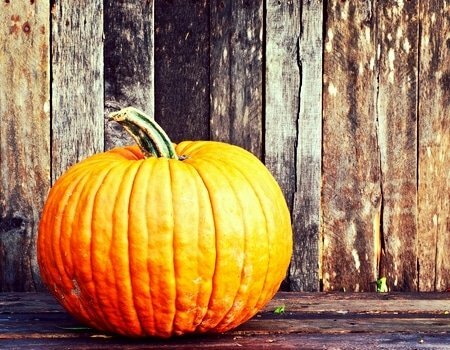 How have pumpkins benefited your health?